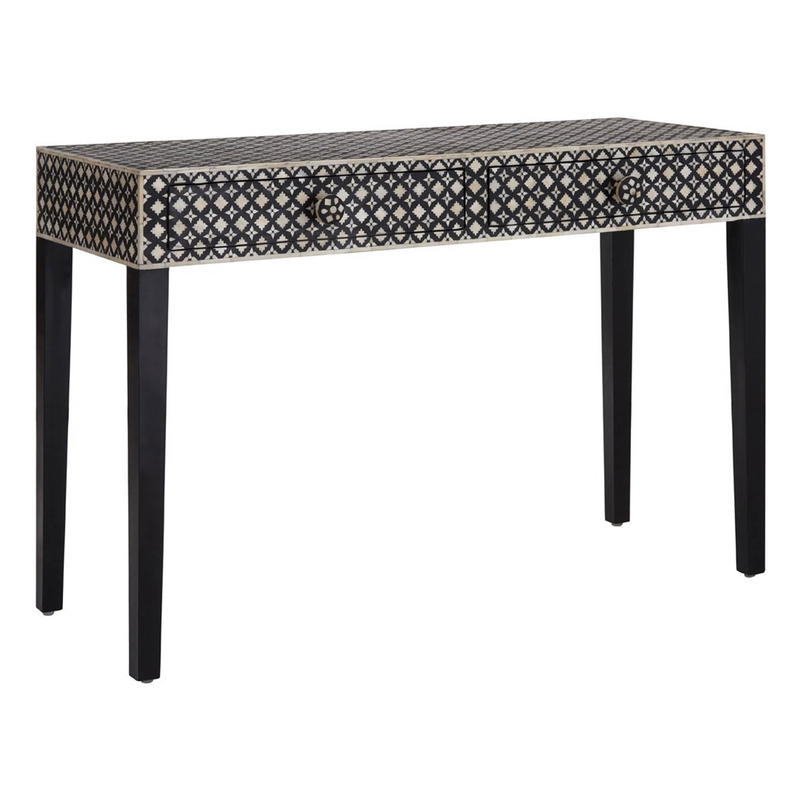 Made from wood, this console table features a strong wooden frame which ensures durability over generations and includes a contrasting 'mother of pearl' design, making this console table reliable and stylish. Offering some generous storage with its two drawer design, perfect for storing away any household clutter to help keep your home tidy. With its unique 'mother of pearl' design this console table is a must have for anyone who is looking for a standout piece for their home.